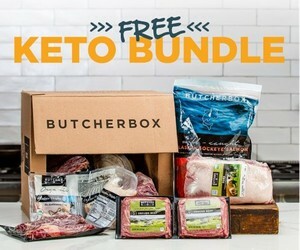 If you have been wondering about the keto way of living, let me shed some light for you. There are many health benefits experienced by those on the ketogenic diet. The basis of the diet is that it is designed to get a certain response from the body. Those on the keto diet eat normal amounts of protein, higher amounts of fat, and they keep their carbohydrate intake very low, generally 20 grams of carbs or less. Because carbohydrate intake is low, the blood sugar (glucose) level is low, and the brain pulls from this alternative energy source, which is fat. Before fats can be used by the body, the liver has to first convert them to ketones. It is ketones that are used as energy for the body and brain when there is lack of glucose. • Weight Loss: Due to lowered insulin levels and the body’s ability to burn stored fat, those who adhere to the diet find that they lose weight more quickly than with conventional diets. • Clarity of Mind: An unbalanced diet can lead to lack of mental clarity, and it feels like a foggy brain. People find it difficult to remember facts or struggle with staying focused on tasks. The keto diet, by helping the body burn fat as energy, sends energy to the brain and helps it to stay focused. • Improve Productivity: Many people are not aware that ketones are a more efficient energy source than glucose. And for the brain, energy is everything. This type of energy helps better protect the brain — and the rest of the body — from oxidative stress, which negatively affects mental performance and brain aging. Improved mental performance, improved clarity, improved memory all combine to improve productivity. • Acne: Lower insulin levels and eating less sugar and processed foods help improve acne. In addition, an increase in water intake will occur due to the lack of carbohydrates, offering good hydration of the skin. • Heart Disease: In addition to weight loss, the risk factors of body fat, HDL levels, blood pressure and blood sugar are improved. • Cancer: There are medical studies, such as those conducted by the Department of Radiation Oncology at the Holden Comprehensive Cancer Center at the University of Iowa, and the National Institutes of Health’s National Institute of Neurological Disorders and Stroke, that are showing good results with the ketogenic diet being an effective treatment for several types of cancer and slow tumor growth. • Alzheimer’s disease: Ketogenic diets are being used to help treat Alzheimer’s symptoms. Those patients on the diet have shown a reduction in those symptoms and improved cognitive function. • Epilepsy: The Epilepsy Foundation endorses the ketogenic diet because it has been shown to help control seizures in some people with epilepsy. Doctors usually recommend the ketogenic diet for children whose seizures have not responded to several different seizure medicines. If you ever thought about it, but haven’t taken the next step to give the ketogenic lifestyle a chance, keep up with us as we help you learn more and more about the keto way of living over the next month. You can also grab some great books all about keto and great recipes. Previous Post: « Do You Have a Fat Dog Who Needs a Diet? Health supplements are the nutrition product that maintains your body immune system with essential vitamins and minerals at the most affordable price. They are the products that you can consume daily and available with energy efficient resources.